With the world’s coffee community gathering at the Specialty Coffee Association’s Coffee Expo and Re:co Symposium in April, we wanted to address the most basic of questions: What makes specialty coffee specialty? In other words, there’s a reason that the majority of coffee grown in the world is sold as a commodity. It takes an extraordinary amount of effort, starting from the moment coffee trees flower to the arrival of green coffee shipments at Oakland’s pier, to bring coffee to market that’s free of physical defects and tastes consistent and clean in the cup. If this feels confusing, consider this comparison: Think of the specialty designation for coffee as you would the status of a fine wine. No matter where we enjoy that vintage Burgundy, its qualities are still intact—even if the setting is a roadside rest stop, and we’re drinking from plastic cups. You might say the environment does a disservice to the wine’s beauty, but the wine itself remains intrinsically good. A specialty coffee is like that. Roasters like us do everything we can to fulfill the potential of coffee we find beautiful, and we design our cafe experiences to showcase it. None of this matters, though, if a coffee doesn’t pass the requirements we enforce through physical and sensory evaluations. Who Sets the Standards for Specialty? While some might question how the quality of something like coffee can be standardized, industry organizations like the Specialty Coffee Association (SCA), the Coffee Quality Institute (CQI), and World Coffee Research (WCR) are behind the collaborative effort to define, as precisely as possible, what it takes to be considered “specialty.” These organizations help to create a rubric for physical and sensory evaluations. The SCA, for example, gives definitions for all of the potential physical defects present in coffee and assigns corresponding values to them, thereby creating a clear way of scoring green coffee. Some defects are minor, but others can create off-flavors in a coffee in the same way that a rotted leaf of lettuce can change a bite of otherwise tender greens. 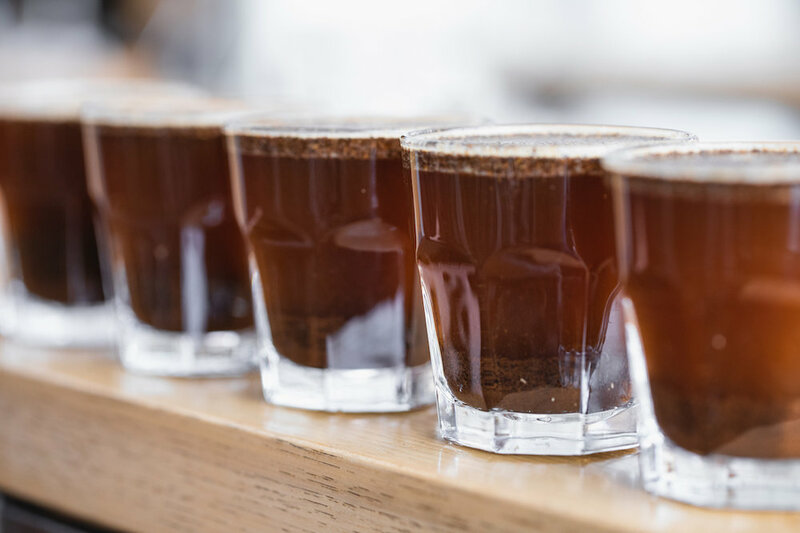 On the sensory level, the SCA has developed a 100-point system of evaluating a coffee once it is brewed, using categories like fragrance/aroma, sweetness, and acidity to gather concrete data from a group of calibrated tasters. Any coffee that scores above 80 is considered specialty, while anything below is commodity coffee. In addition to this scoring system, the SCA, in collaboration with WCR, has also created the research-based Coffee Taster’s Flavor Wheel, which helps give coffee professionals a lexicon for describing the myriad flavors possible in coffee once it is brewed. As much as we talk about deliciousness, specialty coffee isn’t just about the taste of coffee. These standards exist in order to create a fair market for growers in origin countries so that the designation of specialty is about measurable attributes, rather than personal preferences for coffee profiles from specific places. Equally important is the role these two assessments play in creating a shared language that brings everyone involved in the coffee chain—from farmers to importers to baristas—into the conversation. A shared language allows those of us who are on the consuming side to give concrete feedback to producers, empowering them to improve coffee quality. This has the potential to make a world of difference: If a farmer is able to achieve specialty standards, their coffee can earn significantly higher prices than possible on the commodity market—and that’s something we strive to support. To learn more about the way we evaluate coffee, stay tuned for the second part in this three-part series exploring the basics of specialty coffee.